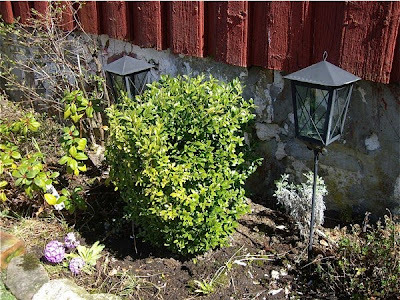 A hard winter is over, and I have found that all my perennial herbs have survived the harsh conditions and have started to sprout. The collection of different herbs is growing every year. Currently my garden is home to 18 plants with either culinary or medicinal uses. Here are the presentation of them. Tea, juice, tincture, infusion, or poultice and has been smoked, mixed with tobacco. 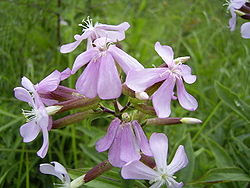 Soapwort has various medicinal functions as an expectorant and laxative. An overdose can cause nausea, diarrhoea and vomiting. Despite its toxic potential, soapwort is used as an emulsifier in the commercial preparation of tahini halva,and in brewing to create beer with a good "head". 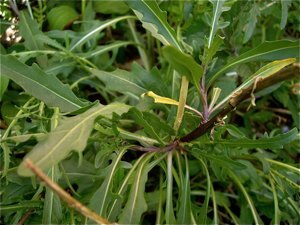 In India, the rhizome is used as a galactagogue. Thyme adds a distinctive aromatic flavoring to sauces, stews, stuffing, meats, poultry – almost anything from soup to salad. In medieval times the plant symbolized courage, and to keep up their spirits, knights departing for the Crusades received scarves embroidered with a sprig of thyme from their ladies. Fundamental component in many or most dishes of various regions, including eastern Asia, south Asia, Southeast Asia, the Middle East, northern Africa, southern Europe, and parts of South and Central America. Originates from: Southern Europe, the Middle East, and the region surrounding the Caspian Sea. Leaves are used as an aromatic condiment. They have a lightly bitter taste due to its tannins, and an intense minty aroma. Due to its intensity, it is used moderately in cooking. The herb is also used to flavor liqueur, and is part of the official formulation of Chartreuse. Wide uses, mostly in sauces and drinks. Originates from: Native to the Mediterranean region south to tropical Africa and to the southeast regions of India. Medicinal and culinary use. Candied and sometimes used as cake decorations. Lavender flavors baked goods and desserts (it pairs especially well with chocolate), as well as used to make "lavender sugar". Flowers are occasionally blended with black, green, or herbal tea, adding a fresh, relaxing scent and flavour. Originates from: Southern Europe and the Mediterranean region. Lemon balm is often used as a flavouring in ice cream and herbal teas, both hot and iced, often in combination with other herbs such as spearmint. It is also frequently paired with fruit dishes or candies. Leaves and seeds or fruit of which are used to flavor food, especially in South European cuisine. Vaguely resembles its cousin celery in appearance and in flavor. Lovage also sometimes gets referred to as smallage, but this is more properly used for celery. Important culinary herb. It is particularly widely used in Turkish, Greek, Portuguese, Spanish, Latin American, and Italian cuisine. It is the leaves that are used in cooking, and the dried herb is often more flavourful than the fresh. Biennial herb, often used as spice. Common in Middle Eastern, European, and American cooking. Used for its leaf in much the same way as coriander (which is also known as Chinese parsley or cilantro), although parsley is perceived to have a milder flavor. 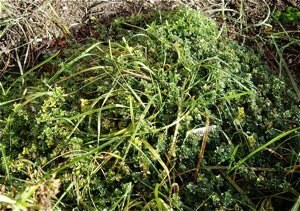 As salad leaf or as herb. Strong peppery taste. I use it as base for a pungent pesto sauce. Originates from: Arctic, the mountains of Central Asia, the Rocky Mountains, and mountainous parts of Europe, such as the Alps, Pyrenees, Carpathian Mountains, Scandinavia, Iceland, Great Britain and Ireland. Flavouring fatty meats (especially as a marinade), cheeses (Sage Derby), and some drinks. 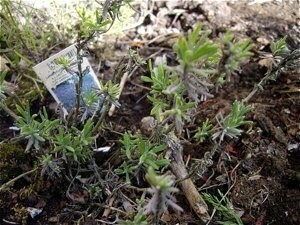 In the United States, Britain and Flanders, sage is used with onion for poultry or pork stuffing and also in sauces. In French cuisine, sage is used for cooking white meat and in vegetable soups. Germans often use it in sausage dishes, and sage forms the dominant flavoring in the English Lincolnshire sausage. Sage is also common in Italian cooking. Sage is sautéed in olive oil and butter until crisp, then plain or stuffed pasta is added (burro e salvia). In the Balkans and the Middle East, it is used when roasting mutton. Originates from: Wide area of the Northern Hemisphere from easternmost Europe across central and eastern Asia to India, western North America, and south to northern Mexico. One of the four fines herbes of French cooking, and particularly suitable for chicken, lasagna, fish and egg dishes. Tarragon is one of the main components of Béarnaise sauce. Fresh, lightly bruised sprigs of tarragon may be steeped in vinegar to impart their flavor. Originates from: native to warm temperate regions of southern Europe. 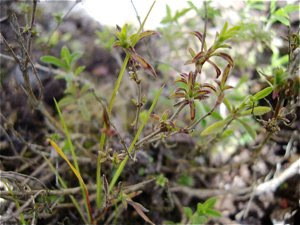 In cooking, winter savory has a reputation for going very well with both beans and meats, very often lighter meats such as chicken or turkey, and can be used in stuffing. 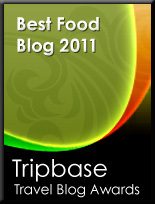 It has a strong flavour while uncooked but loses much of its flavour under prolonged cooking. It may also be used medicinally, it is a stimulant, and is also a known aphrodisiac. Originates from: Temperate regions of Eurasia and northern Africa. SOLD! 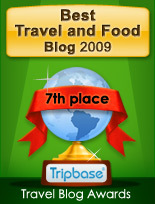 Enjoy Food & Travel for sale!